Yannima Pikarli Tommy Watson is a senior Pitjantjatara elder and Law man of Karima skin group. He was born around 1935 in Anumarapiti, 75 kilometers west of Irrunytju, in Western Australia, near the border with the Northern Territory and South Australia. His given names of Yannima and Pikarli relate to specific sites near Anumarapiti. Tommy Watson is internationally recognised as one of the most significant Aboriginal artists of our time. He passed away quietly surrounded by family, in November 2017. Tommy ‘walked in’ from the desert in his teens; as a child he lived a traditional life in the Gibson Desert, where he gained an intimate understanding of the environment and his Tjukurrpa (ancestral stories). Beginning painting in 2001, he was one of a handful who established the Irrunytju community art centre. 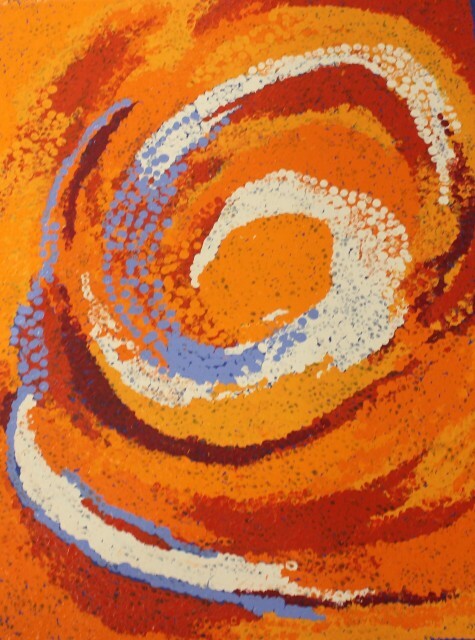 Soon after he gained prestige in the Aboriginal Art movement, and was described by one critic as "the greatest living painter of the Western Desert".